Keep a copy of our schedule handy - click here to download it! 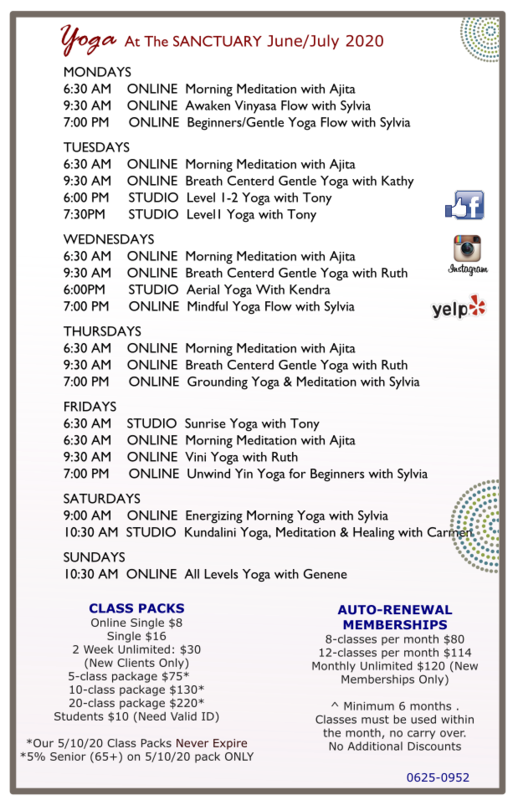 Not sure where to start, come by for our free introductory classes last Weds of the month. Copyright 2010-2019 The Sanctuary Wellness Center: Events. All Rights Reserved.